This Aftermarket Full Size Gray Dual Gauge A-Pillar Pod is designed to completely replace your 2003-2009 Dodge Ram's stock A-pillar and grab handle, allowing you to mount two 2 1/16th inch (52mm) gauges for a completely custom look. 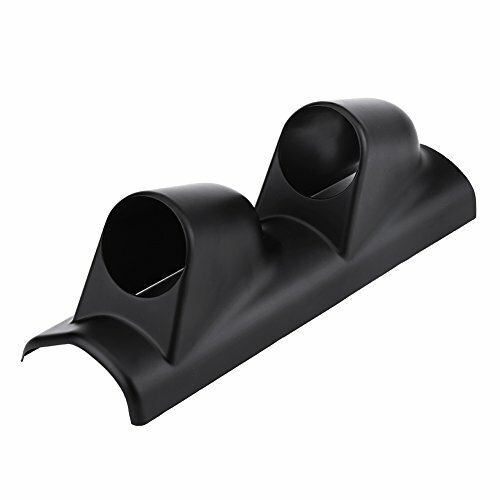 This Ram dual A-pillar pod is factory color matched and is manufactured from high quality ABS plastic that allows it to withstand cracking, fading, and warping. 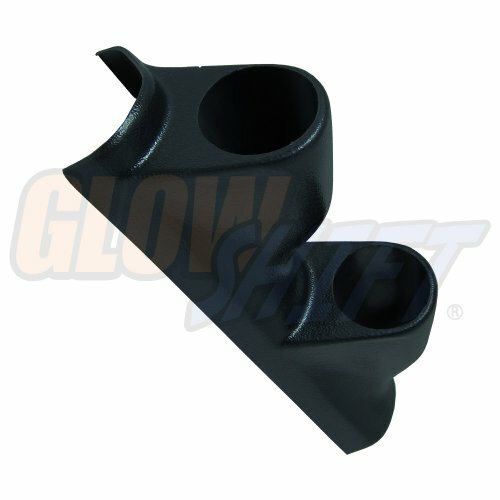 GlowShift's 2003-2009 Dodge Ram dual gauge pod can be easily painted using any ABS plastic paint, and is mounted to your existing A-pillar with the included screws. GlowShift includes mounting hardware, installation instructions, and a one year limited warranty with every A-pillar pod purchase. Package including 1 x Dual Hole A-Pillar Gauge Mount Pod Specification Material: ABS Plastic Width: 3.74"/95mm Height: 3.94"/100mm Length:11.42"/290mm Universal Suitable for 2"/52mm exhaust gas temp gauge, turbo boost gauge, voltage gauge, tachometer gauge Air/Fuel Ratio gauge and so on. Installation As this is a universal pod there will be some modification to make it fit,you can add some fillers to fill the gaps,stick it by glue gun or screw it. GlowShift's 2007-2013 Chevrolet Silverado Tan Full Size Dual Pillar Pod is a complete replacement aftermarket gauge pod that allows you to mount (2) 2-1/16" (52mm) gauges directly to the A-pillar of your truck. This gauge pod features a factory matched tan color and a cut out at the base of the pod for your factory or Bose A-pillar speaker that easily clips into the opening. Each pod is manufactured from high quality ABS plastic that allows it to withstand fading, cracking and warping over longtime use. This pod also features UV protective coating that preserves the color from exposure to the sun so it always matches the factory interior trim of your Chevy Full Size gasoline or Duramax diesel truck. Mounting this pod to the truck is extremely easy using the included mounting bolt and step-by-step instructions on how to remove your factory A-pillar and install this gauge pod. GlowShift includes free lifetime technical support and a one year limited warranty with each purchase. 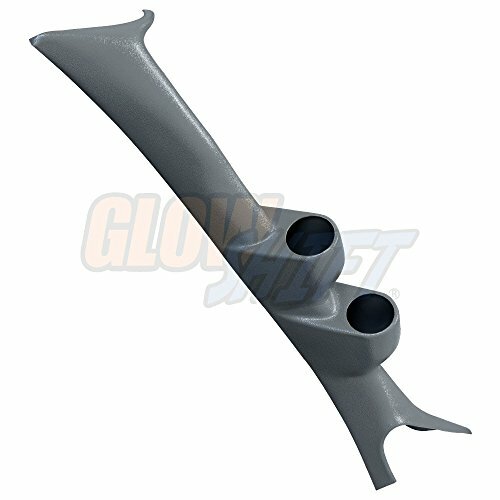 GlowShift's 2010-2015 Chevrolet Camaro Full Size Dual Pillar Pod allows you to mount (2) 2-1/16" (52mm) gauges to the A-pillar of your Gen5 Camaro. 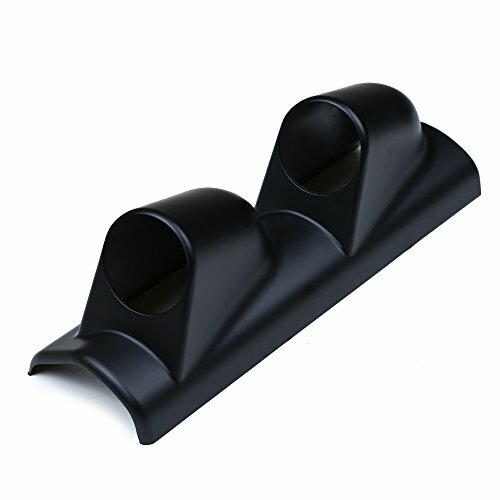 This gauge pod features a sleek, black color and a full size length design that covers the entire A-pillar, resulting in a custom style when monitoring 2 of your engine's most vital components. Crafted from high quality ABS plastic, this 5th generation Chevy Camaro gauge pod is built to last and stand up to warping, cracking and color fading over longtime use. Mounting this pod to your vehicle's A-pillar is extremely easy using the included screw kit, matching black screw caps and step-by-step instructions. GlowShift includes free lifetime technical support and a one year limited warranty with each purchase. 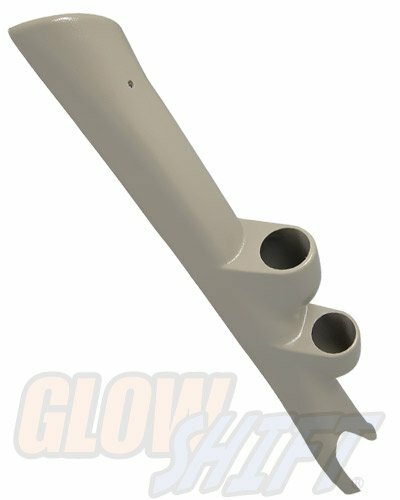 GlowShift's 2007-2013 GMC Sierra Tan Full Size Dual Pillar Pod is a complete replacement aftermarket gauge pod that allows you to mount (2) 2-1/16" (52mm) gauges directly to the A-pillar of your truck. 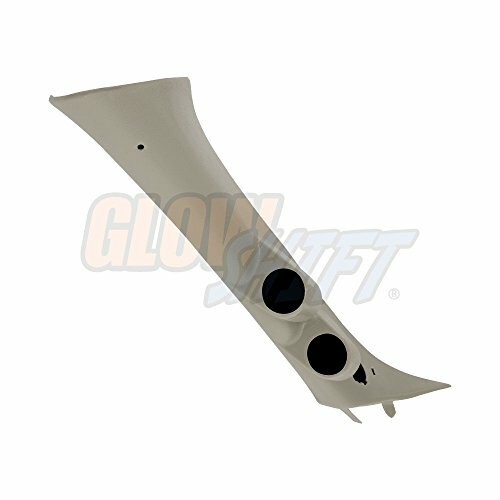 This gauge pod features a factory matched tan color and a cut out at the base of the pod for your factory or Bose A-pillar speaker that easily clips into the opening. Each pod is manufactured from high quality ABS plastic that allows it to withstand fading, cracking and warping over longtime use. This pod also features UV protective coating that preserves the color from exposure to the sun so it always matches the factory interior trim of your GMC Full Size gasoline or Duramax diesel truck. Mounting this pod to the truck is extremely easy using the included mounting bolt and step-by-step instructions on how to remove your factory A-pillar and install this gauge pod. GlowShift includes free lifetime technical support and a one year limited warranty with each purchase. GlowShift's 1999-2007 Ford Super Duty Powerstroke Gray Full Size Dual Pillar Pod allows you to mount two 2 1/16" (52mm) diesel gauges to your factory A-pillar for a custom style while monitoring your truck's most vital components. This factory matched gray Powerstroke dual pillar gauge pod is crafted from high quality ABS plastic that will withstand warping, cracking and fading over longtime use. Each Super Duty dual pillar pod is easily mounted to the A-pillar with the included screw kit and matching gray screw caps resulting in a custom fit and factory finish. GlowShift includes all necessary mounting hardware, installation instructions and a one year limited warranty with each Ford Super Duty full size dual pillar pod purchased. This Aftermarket Dual Gauge A-Pillar Pod is designed for your 2002-2007 Subaru Impreza WRX & STI, giving it a custom fit and finish. This Impreza dual A-pillar pod mounts two 2 1/16th inch (52mm) gauges directly to your factory A-pillar, and is manufactured from high quality ABS plastic, allowing it to withstand cracking, fading, and warping. This 2002-2007 Subaru Impreza WRX & STI dual gauge pod can be easily painted using any ABS plastic paint, and is mounted to your existing A-pillar with the included screws. GlowShift includes mounting hardware, installation instructions, and a one year limited warranty with every A-pillar pod purchase. Features: 1. HIGH QUALITY MATERIAL: Each gauge pod is crafted from high quality ABS plastic that allows it to withstand cracking, fading, and warping. 2. EASY TO INSTALL: Easy to hold gauge firmly and fix on platform. Allows to mount the gauges at eye level to make them can be easily viewed. 3. VARIETIES GAUGES: It can hold varieties of 52mm or 2 inch gauges, like exhaust gas temp gauge, turbo boost gauge, voltage gauge, tachometer gauge and so on. 4. WIDELY USE: Suitable for most of auto, truck, boat, motorcycle and other vehicles. Three different types for your option, practical and high reliability. 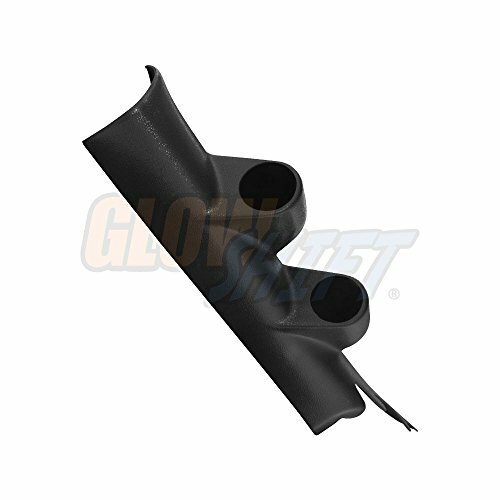 Specification: Condition: 100% brand new Material: ABS plastic Color: black Length: 150mm / 6", 293mm / 11.5", 445mm / 17.5" Width: 96mm /3.8" Heigth: 100mm / 3.9" Gauge Mounting Diameter: 52mm / 2" Types: single hole / dual hole / triple hole (optional) Fitment: universal Package Weight: approx.177g Package List: 1 * Gauge Holder Bracket Notes: 1. It is easy to install, but professional installation is always recommended. 2. Please allow 0.2 inch error due to manual measurement, thanks for your understanding. Want more Dual A-pillar Pod similar ideas? Try to explore these searches: Garlic Stuffed Olives, Tdi Metal Belt Clip, and Portege 3500.